BLOOMINGTON, Indiana – Despite a dire new report saying the immediate consequences of climate change will negatively affect people across the globe, Americans keep buying gas-guzzling vehicles, and automakers keep making them. So instead of trying to change people’s outlook on what vehicle to buy, the Central Indiana Regional Transit Authority’s Commuter Connect rideshare program tries to get Hoosier commuters to reduce the amount of time their vehicles are on the road while still getting to work on time every day. 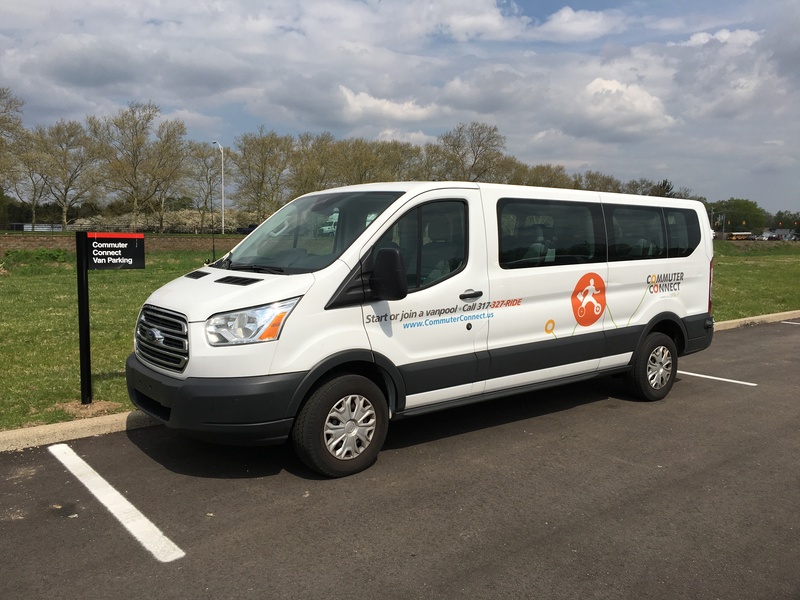 The free, federally funded program connects commuters who want to carpool and work or live within Marion County or the eight surrounding counties. CIRTA's Commuter Connect program seeks to help get Hoosiers to work while cutting the amount of vehicles on roadways. The EPA estimates that transportation is responsible for 28 percent of all greenhouse gas emissions. In 2015, passenger cars and trucks emitted 1,502.9 million metric tons of greenhouse gases in the U.S. In 2016, the most recent year reported, emissions grew to 1,532.3 million metric tons. Researchers estimate that simply carpooling could reduce greenhouse gas emissions by 1.83 million metric tons a year. Commuter Connect works by matching people based on their home, work or school address and their commuting hours. The program then provides users with a list of potential carpool partners with whom to plan their commute. McGee says drivers don’t usually realize how much they actually spend to drive their vehicles every day. The American Automobile Association says that finding out the true cost of vehicle ownership requires assessing how much one pays for fuel, insurance, maintenance and repair, vehicle financing and other costs like depreciation. The average annual cost of vehicle ownership ranges from $6,777 for a small sedan to $10,215 for a pickup truck. The AAA says depreciation makes up 40 percent of that amount. 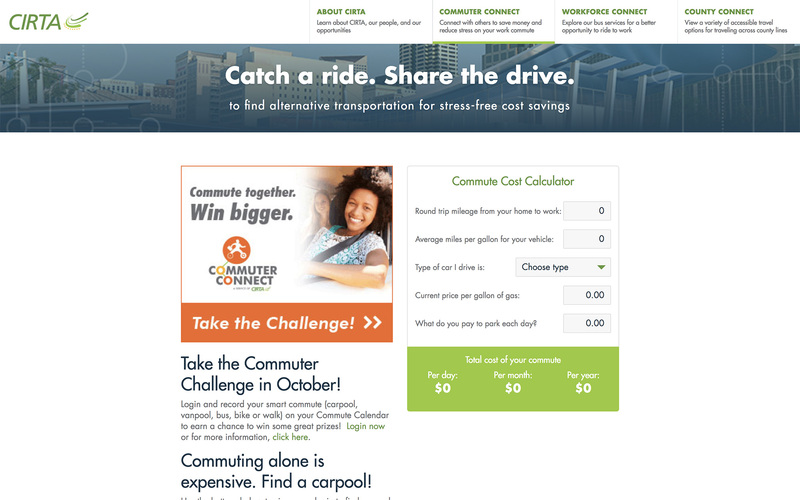 CIRTA has a commute cost calculator that drivers can use to estimate their savings by using Commuter Connect. CIRTA's commute cost calculator helps Hoosiers estimate the hidden costs of vehicle ownership. CIRTA says the program can also help companies increase their productivity by ensuring employees have a reliable way to get to work. Besides arranging carpools, the program also provides low cost vanpools for large groups of commuters. The subsidized fares vary but include insurance and maintenance costs. Companies can also take advantage of significant tax benefits if they sign up to be a part of Commuter Connect. A federally funded program is helping Hoosiers from nine central Indiana counties get to work while reducing the number of vehicles on the road. The Central Indiana Regional Transit Authority's free Commuter Connect program helps Hoosiers meet and plan carpool options.